It has been a very long time coming. Brunch in Amsterdam, more than a regular toasted sandwich, standard omelet or croissant with orange juice and coffee. It was high time for a restaurant that actually serves a full plate of soul food around midday. The increasing influence of anglo chefs relocating to Amsterdam from cities like London and New York though, has finally paved the way for a decent brunch scene. Staring at Jacob, opened a month ago and is co-owned by an American chef from New York who used to work in Michelin star restaurants. He also co-owns a fabulous French style bistro in Amsterdam, which I shall feature on the blog soon. Staring at Jacob serves healthy and delicious Californian inspired breakfast classics. I tried the aptly named Benny Hill, which consisted of two poached eggs, an English muffin, smoked avocado and hollandaise sauce. Delish! And even though I went on their opening day and it was packed to the gills, as I expect it will be for some time, the staff remained friendly and welcoming. 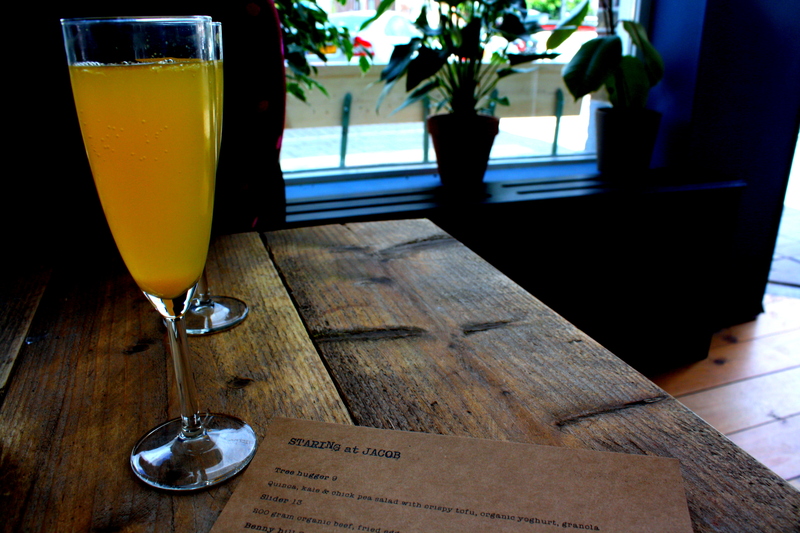 A longer wait was compensated with a free mimosa, what’s not to like. The ambiance is laid back, albeit, the restaurant could be a bit bigger to meet the expected demand. Thanks for the comment. So great you popped over from Tasty Tuesdays. Will have a look at all your tantalising recipes as well. 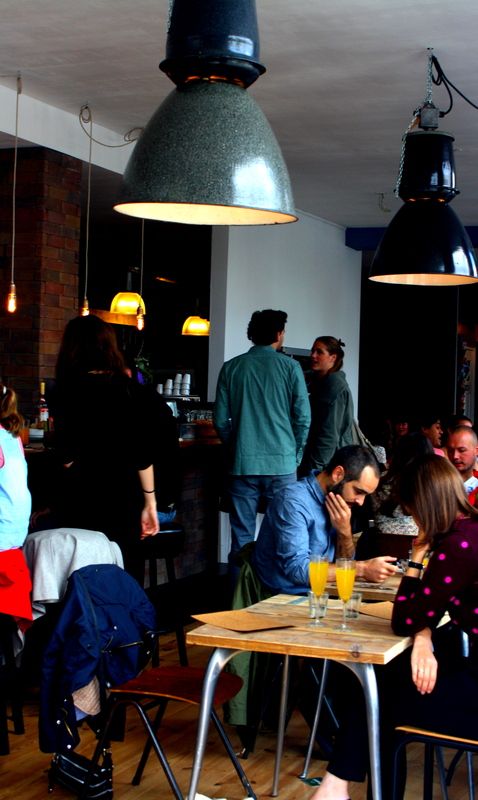 Amsterdam is fast developing a brunch scene, it’s mainly due to the Anglo/American/Australian influx of expats opening fantastic brunch places in the city. Staring at Jacob, for example, is owned by an American and British chef. 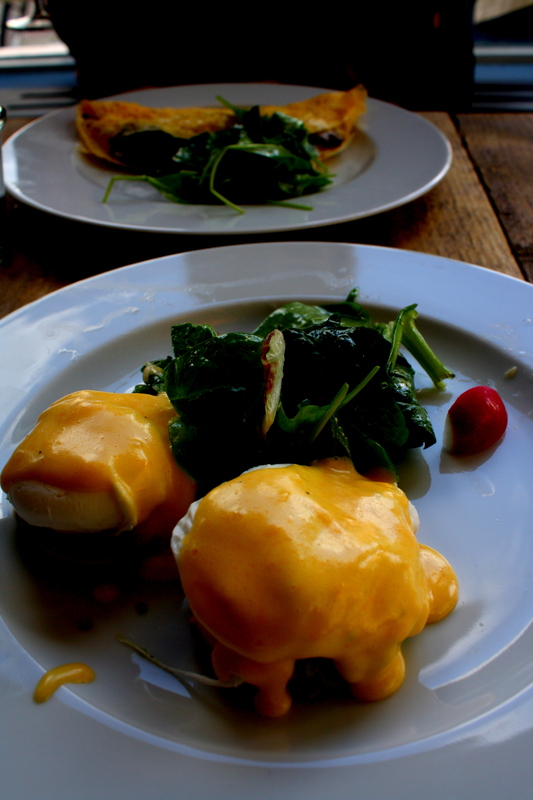 It wasn’t that long ago that we didn’t have restaurants purely catering for brunch. Thanks @Tamingtwins for your comment and yes, definitely worth a visit. There are other brunch places over here that I’m probably going to feature on my blog soon. 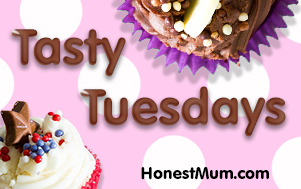 #TastyTuesdays. Love that we’re all linking up through this.